Community Radiology Associates | Mt. Airy Imaging Center is part of a network of outpatient radiology centers located throughout Carroll, Frederick, Montgomery, and Prince George’s counties in Maryland. Mt. Airy Imaging Center is conveniently located in the Mt. 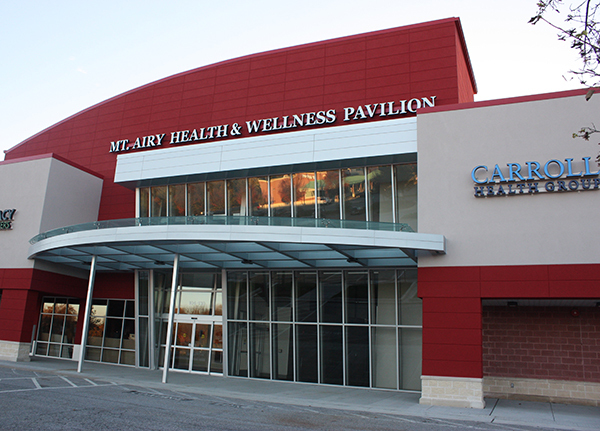 Airy Health & Wellness Pavilion in Carroll County. The center offers a full array of radiology services including open MRI/MRA, which is great option for claustrophobic and larger sized patients, CT/CTA, 3D mammography, ultrasound, bone density measurement, and X-Ray. We offer the latest technology in breast cancer screening – 3D mammography. Studies show that 3D mammography detects 40% more invasive cancers than traditional mammography alone. So when it’s time for your annual mammogram, trust our women’s imaging experts to bring you the very best. Community Radiology Associates | Mt. Airy Imaging Center serves the communities of Mt. Airy, Westminster, Columbia, Frederick, Damascus, Green Valley, Eldersburg and more. Our outpatient radiology center is located approximately 16 miles from Carroll Hospital, 17 miles from Howard County General Hospital and 14 miles from Frederick Memorial Hospital, making it a convenient location for patients in Frederick, Carroll, and Howard counties. At Community Radiology Associates | Mt. Airy Imaging Center, our dedicated specialty physicians, friendly compassionate staff and cutting edge technology allow us to offer our patients only the very best in diagnosis, management, follow up and care. Please call us to find out more about our imaging services and the convenient appointments we offer to patients.